Where Are the Tablets Sold? Who Can Use a Nabi Tablet? Nabi is a brand that specializes in technology tools for children. It offers a selection of tablets and also sells wearable technology bracelets and various tablet accessories. 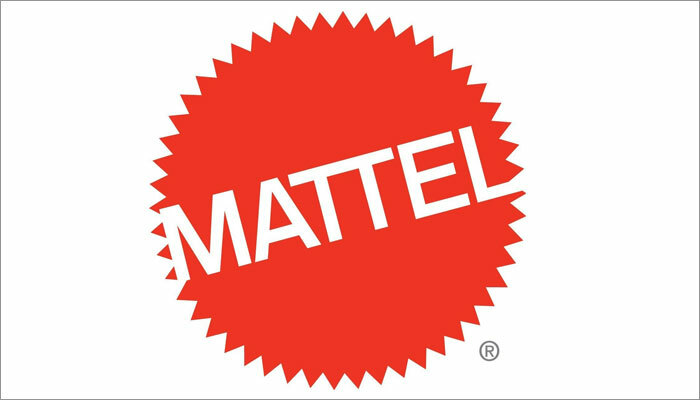 The brand was originally housed under the company Fuhu, Inc. which was founded in 2008, and is currently owned by Mattel, Inc. The tablets are categorized as learning tablets for children and use the Android mobile operating system. They incorporate specialized learning software and tablet designs that make the devices more suitable for children. They combine recreation and learning in a device that may be more child-friendly than a more adult tablet such as an iPad. 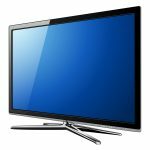 The technology devices can be ordered through online retailers such as Amazon, Kmart, Kohl’s and Fisher-Price. 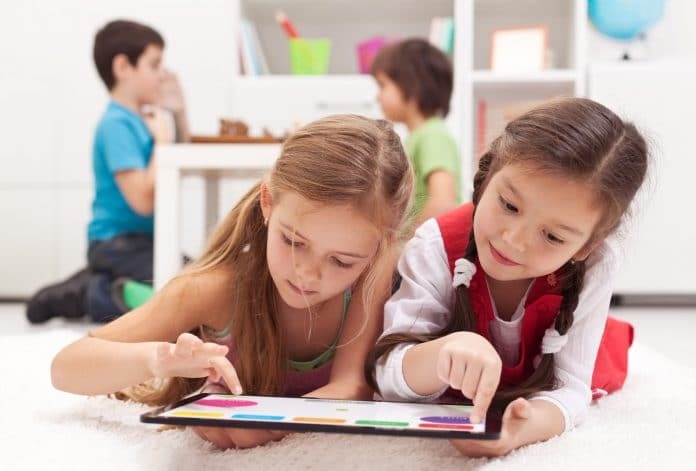 While the tablet may be initially purchased for a child under the age of 10, parents can still enjoy Android applications on the device with Parent Mode. The smaller versions of the tablet can also be used in a classroom setting during study halls or indoor recess periods. Selecting the proper learning tool for a child takes time and consideration. One must consider why the device is being purchased and who will be using it. Other differentiating features such as size and learning software also shape the purchasing decision. We researched the six different Nabi tablets on the modern market and analyzed the specifications that make them different. We also read customer reviews and combined these with our analysis to develop an honest and authentic review. This guide was developed to aid you in selecting the perfect tablet for your situation. Whether you are purchasing the tablet as a gift for a grandchild or as a toy for a long road trip, it is important to go into making the decision fully informed and aware of the different options. 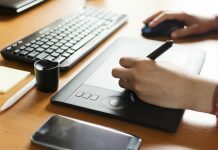 This review is a tool designed for anyone exploring the different tablet learning tools on the modern market. Nabi tablets are quality technology learning devices. They are designed to supplement academic learning with special programs while also supporting applications for parents and children alike through the Google Play Store. This sort of tool is a nice option for summer vacations or rainy weekend afternoons. Many customers find the tablets are a nice alternative to tablets loaded with non-educational games. The six different tablets vary in size and feature offerings. This translates to the price of the tablet, which can range between $60 and $300. With the purchase of a tablet, a customer gets access to the Google Play Store along with built-in programs such as Wings Explorer Learning. Additional costs may include different colored cases, extra chargers, certain applications and subscription fees to video viewing services such as Netflix. The Nabi SE is one of the more popular individualized learning technology tools. It is a great option for anyone who wants a fun way to help a child learn outside the structured academic classroom. The device is powered by Android which means there is a variety of apps available through the Google Play Store. However, it is easy to regulate who is using what apps and when they are being used. There is a Parent Mode and a separate Nabi mode for the kids. There are also time controls to help monitor and limit usage time along with monitored introductory social networks for kids called Nabi Friends and Nabi Konnect. The device uses a Wings Explorer learning system that includes reading, writing, and math games and exercises. The Wings Classroom builds on Explorer by helping children understand mistakes and develop a deeper understanding of important concepts. Plus, Wings N-Site helps you to monitor the work your child does. A strong advantage of this system is that it aligns with Common Core State Standards that your child will likely have to meet during the academic school year. Using such a system may help prepare your child to meet and even exceed these standards. 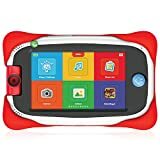 The tablet is well reviewed, and many parents think it is a nice option for older kids that builds off the Nabi Jr. Customers especially like the Wings Explorer software because of how it aligns with Common Core standards. The con that emerges the most with this tablet is a low battery life and chargers that may need to be replaced. The Nabi DreamTab is a tablet that builds on the features offered by the Nabi SE. Both offer the Wings Learning System, time monitoring tools, basic social networks opportunities and a separate Parent Mode. However, the DreamTab also offers a range of creative outlets suitable for ages 6-9. The Dream Pro Studio is a program that offers drawing, animating, editing and publishing opportunities for kids to tell stories in a variety of ways. Previous customers like how the eight-inch display size is slightly larger than the Nabi SE seven-inch display size. 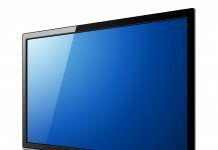 A larger screen is better for using the design-focused software and also makes it a good option for people who plan to watch Netflix or Amazon Prime videos on the device. Some customers complain about the devices running slow or having a frozen screen after the first few months. Like the SE and the DreamTab, the Wings Learning System is built into this tablet. It is the same size as the Nabi DreamTab but offers a few different features. It is thinner than the SE and offers speakers with a higher quality. The cameras can capture both HD photos and videos. An octa-core instead of a quad-core processor is used and the network is Android 5.1 Lollipop. There is also 32 GB of memory instead of 16 GB like the previous two tablet options. Such features make this tablet a good option for older children who like the software of the SE but want a sleeker appearance and more elevated technology options. Previous customers like this tablet. This tablet has a thinner and sleeker appearance than the other tablets, which may make older siblings and parents more willing to use it as well. Having strong parental controls through the different user modes makes it a safe technological device to have in the house. The main complaint is how the charger must be the Nabi brand which becomes inconvenient if it is lost. The most distinguishing feature of this tablet is the size. With a 20-inch display, this tablet is designed for use by multiple people. Built-in software allows users to play games and tell stories together. For example, two people can play chess, or five people can play air hockey. Similar to the previous tablets, there is a Nabi mode and a Parent mode to safely monitor technology usage. There is also the Wings Learning System for solo learning time. This tablet is a great option for families looking for an innovative way to facilitate family bonding activities. Some customers had trouble installing Google updates and wished it held a longer charge. Other customers like the graphics and the large screen. It is a great way for friends to play on a technology device together instead of alone. This tablet was designed with a younger audience in mind. While the Big Tab 20 has a large screen, the Nabi Jr. has a durable structure and small size ready for small hands and accidental drops. 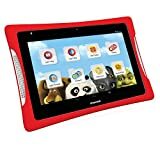 Similar to the other tablet, this device offers the Wings Learning system, parental mode and time controls. An additional feature is Nabi Utilities, designed to help younger children learn more about the surrounding world with a learning-friendly clock, calendar and weather update. Some parents think this tablet is a great tool for long car rides. The small size and durable structure make it ideal for younger kids watching educational videos or playing interactive learning games. 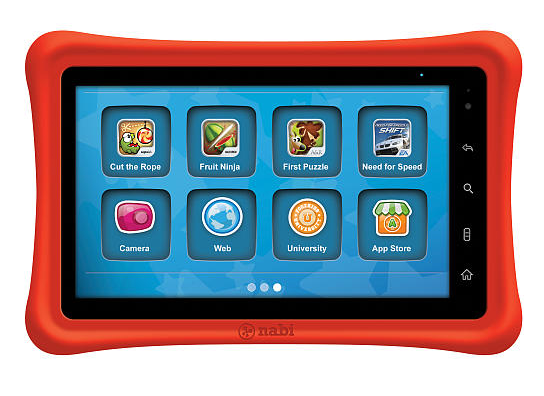 While the Nabi SE is nice for ages 6-9, this tablet is a good option for ages 3-6. Similar to the other tablets, the main complaint is how the device holds a short charge time. The Big Tab 24 is just like the Nabi Big Tab 20, except with a larger display size. Standard Nabi features such as Wings Learning and Nabi Utility systems are installed on the device. Additional features include a range of individual and multi-player games along with a large surface for watching streamed shows. Both Nabi Big Tab 20 and 24 use the Dream Pro Studio first introduced through the Nabi DreamTab tablet. Working with this program on the larger display size allows kids to create more elaborate and intricate creations. When choosing between the 20- or 24-inch Nabi Big Tab, parents should consider how many people will be using it at a time. Larger families may consider the 24-inch more suitable. Both tablets face the same issue of using up battery life quickly. However, both are great for vacations and road trips if it is possible to charge in the car. Past customers like the wide range of games such as chess and checkers that entertain kids on the road without needing to keep track of small pieces at the same time. After reviewing the selection of Nabi tablets, we think the brand is an excellent tool for parents looking for an electronic learning tool for a child. We do not think these tablets are suitable for adults alone or for kids over the age of 10. The standard Wings Learning program, introductory social networking system and Parent Mode option are top pros for all six versions. There are also a few cons for the tablets. The larger the tablet, the shorter the battery life, with the Big Tab 20 and 24 having an unfortunately short average battery life of 30 minutes. Additionally, some customer reviews state that the tablets have trouble with more recent Google Store application updates. Our favorite of the six tablets is the Nabi Elev-8. We like how it is similar to the SE with regard to built-in programs while taking the SE design to the next level with more internal storage and a sleeker design. Because of the elevated technology standards of this tablet, we think it is a suitable option for a family. Kids both above and below the age of 10 and their parents can take advantage of its features instead of having a separate Nabi SE and Nabi Jr. for two different kids. In this way the tablet can become a recreational and educational component of the household. 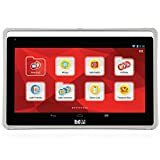 Customers impressed by the Nabi tablet may also appreciate a separate branch of Nabi learning technology tools created with Fischer-Price, Barbie, Hot Wheels and American Girl. The tablet-like devices have a seven-inch display like the Nabi SE and come loaded with games that align with each brand. For example, the Nabi Hot Wheels has activities related to car racing. These devices cost around $70 and are worth considering independent of the tablets. When purchasing a learning tool, think about how often the tablet will be used and for what reason. A Nabi Jr. may be more suitable for a younger child preparing to enter school for the first time, while a Nabi SE may be more suitable for a 7- or 8-year-old already enrolled in school and looking for a way to supplement academic curricula in the evening or on the weekend. Nabi tablets are an excellent example of combining technology and learning in a convenient and effective way. With the information from this review guide, you are now ready to take the next step and select the best tablet for your particular situation.